There are some songs that speak to me, especially during hard workouts or long runs. Check out five of my favorite workout songs that I listen to during marathon training! Last year during marathon training I found myself listening to podcasts quite often. Something about listening to stories and conversations seemed to help pass the time, particularly during long runs. This time around, if I’m not running with a buddy or enjoying the sounds of nature, I find myself preferring music over the chatter of podcasts and news. Maybe I burnt myself out on that last year; maybe my runs haven’t gotten long enough where I’ve reached the “I’m bored of music” threshold. I dunno. One thing’s for certain, when I’m doing speed workouts or a shorter run, I do enjoy listening to music. And I love all sorts of music to be perfectly honest. My playlist is varied and changing. I do have my favorites, of course — and many more than five favorites I might add. But today I’m sharing with you five songs that can be found on almost every one of my playlists — some dating back several years. Maybe we share some of the same faves? This one’s a given, no? Strangely enough, although I’ve loved Lose Yourself ever since it was released back in 2002 (!!! ), I never really got into it as a workout song until recently. Now it’s one of my absolute faves and any time I’m struggling on a run or with a workout, this is the one I go to. There are so many versions of Something Just Like This but the Alesso Remix is by far the best. I’m not sure why I’m so drawn to this song while I’m running but the tempo of this particularly remix makes it perfect for a faster pace. Plus, what a singable song with a great message. True story: during my first Marine Corps Marathon, I accidentally turned on Party Rock Anthem on repeat. It took me about four cycles of the song to realize what was happening. At first I thought it was just an extended version of the song. But when I realized it was on repeat, I chuckled and continued to listen for one more round. What a fun song for marathon racing! I have no idea where I first heard I Found My Soul at Marvingate but I’m guessing it was on BPM or something on Sirius. It’s quickly become one of my favorite songs. It’s equal parts chill and exciting. There’s just something about it… If you haven’t heard it before, check it out and let me know what you think. I could listen to Twilight Vs Breathe for hours on repeat. This song really speaks to me. 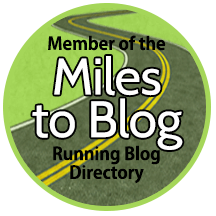 I like it for the middle miles of a challenging workout — or while driving, or while typing up this blog post, or while just about doing anything! It’s a great one. And there you have it. My super weird, completely awesome, random list of workout songs for marathon training! Do we share any of the same musical loves? Check out some of my other faves I listen to for specific types of running! What’s your #1, all-time favorite song for a tough run or workout? Do you have playlists dedicated to different types of running? I like all kinds of music as well. Great choices, music is the best motivator and I don’t know how I would get through a workout without it. I can workout without it but I prefer some tunes for challenging workouts! I’m one of the weirdos who doesn’t run with music. I stopped about 4 years ago & haven’t gone back to it. But when I did, The Climb by Miley Cyrus was actually one of my favorites! I don’t even know that song. Haha! I’ll google. Well I have some interesting stuff in my lists, too… maybe that’ll be my next post. Haha! I’m always looking for new songs to run to! I especially like when people share songs that are obscure. Thanks for these! I do, too. It’s super fun to hear new music and add it into the rotation! My music is pretty diverse, but classic rock definitely dominates. I do love the Eminem song…it’s so captivating! I’ve got a couple. Thunderstruck always gets me going, Edge of Seventeen has a great beat, and then some fun songs. Since my race is next month, I need some Halloween songs to make me smile. Thunderstruck is excellent, especially for the beginning of races!! I don’t think I’ve heard #4 before I need to check that out. I have awful wifi here on my trip. Not sure my link went through correctly. I’ll check! Hope you’re having an amazing time. Ha, I am only familiar with one song on your playlist, Party Rock Anthem. I’m such a Christian music and old music fan. I’m always good woth some TobyMac and of course the Rocky theme gets me pumped! Also, some Michael Jackson songs are on my playlist. I’ve got a bunch of MJ on my playlist! Thriller is one of my faves! I love the random mix! My playlist tends to be pretty random too. I used to like Lose Yourself but I’ve been to way too many spin classes with it that I’m kind of over it lol. I’m always looking for new workout playlist songs!! Thanks for the inspo. Hope you like some of them! Absolutely. And keeping things interesting can be half the battle! I runfess I don’t listen to Lady Gaga. Well, maybe a couple songs but I wouldn’t know it if they were hers. Lol! I have Party rock anthem on my playlist too! I get excited when it comes on. I should probably get excited when all my songs come on or I guess I shouldn’t have then on my iPod…haha. It just seems like too much work to take them off though! Can you make a new playlist with songs you like? I use Amazon Music so I have a couple playlists going. Awesome picks! Believe it or not, I never listen to music during training. Love hearing these tunes on the course. I totally believe it. Music isn’t for everyone. And I only listen on a handful of runs to be honest. It’s better to be mindful of your surroundings than jamming out!